Inventive IT Services library management system software is designed with a consistent, intuitive interface which meets the needs of all information inquirer. Library management system software is ample and suitable for both small and large libraries. 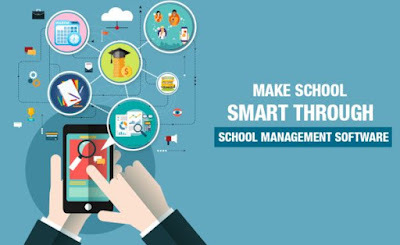 Library Management software can be installed in a range of library organizations, ranging from academic libraries to joint use and public libraries. 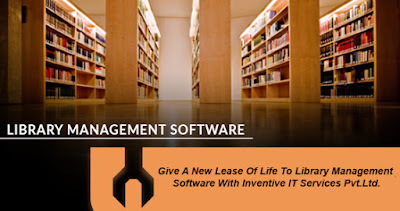 The library management software has security measures applied as per the cataloguing of users. Automation of the library administrative activities through library management software will help the librarian to know all details about a specific book/journal at the click of a button. Library Management Software is fully adaptable with Bar code. Bar Codes for Library Management eases the everyday tasks of big Libraries. ü Inventory and stock management. ü Using library management system the librarian can catalogue and maintain all types of books, journals, CD's etc. ü Provision to request for new titles, journals and magazines. ü Powerful search engine allows users to find information in the library in no time. ü Charge users for lost/damaged books. ü Automatic fine fees calculation. ü Newspapers attendance is maintained.